I love the old, the worn out, the things nobody wants anymore. 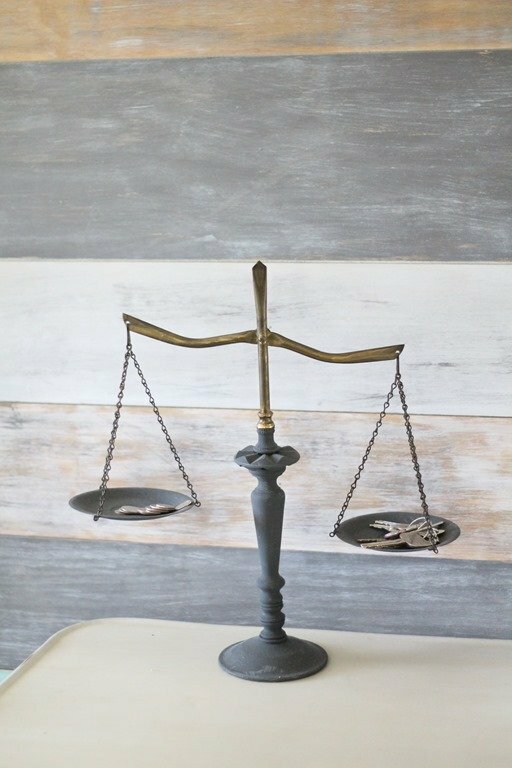 I love the look of vintage – the patina, the texture, the character. And one of my favorite ways to use my vintage finds is as storage pieces. 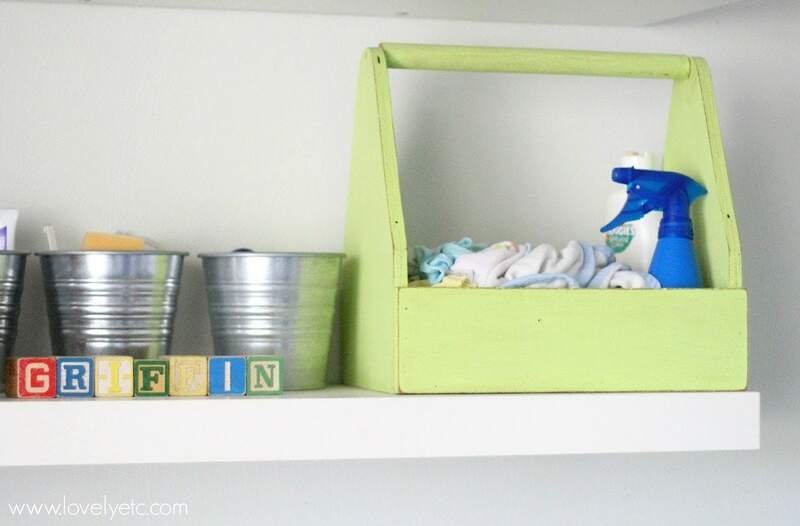 Everyone needs bins and baskets to corral their stuff – why not use gorgeous vintage pieces instead of the same old thing from IKEA? Because I love vintage storage so much, I just had to share some of my favorite ways to use vintage treasures as everyday storage. Even though these are a pretty obvious choice for storage, I had to include them because they just work so well! I love this old soda crate for storing wooden blocks. And yes, in case you are wondering, my two year old really does put them back in the right section. He has a thing for sorting. And a little primitive wooden box works just right for keeping small books and journals in place. I have also used stacks of vintage suitcases to store my fabric stash in the past. But after some major decluttering, I found I just didn’t need them anymore. When I first saw this adorable little blue case with a Paris, France label, I thought it was the absolute cutest little suitcase I had ever seen. Then I opened it up and realized it was actually a vintage clarinet case. The clarinet was long gone so I set about turning it into the little mini suitcase I had imagined. Which mostly just involved ripping out the felt bed for the clarinet and replacing it with a fabric lining. Now it is the home of spare books and papers that I want to stash out of sight. Vintage toolboxes of all sizes are another favorite. I use an old toolbox that I painted in the nursery to store cloth wipes. I have a huge one that I store Griffin’s books in. I love that I can face the books forward so he can see what they are – and as you can see, he definitely takes it as an invitation to pull some out and read. 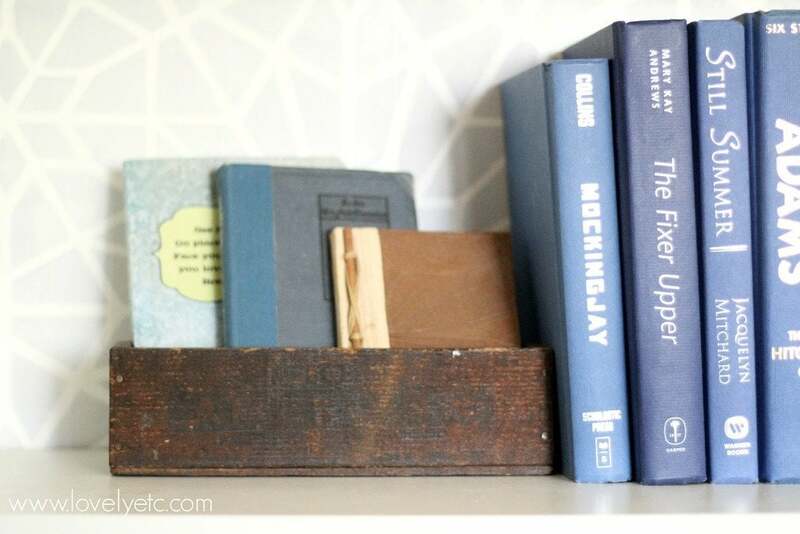 And I use them to hold books on the bookcase… as I’m writing this post, I’m starting to realize that we have a lot of books. Luckily, I consider that a good thing. I love the look of big old card catalogs full of teeny, tiny drawers. But I have no idea what I would store in those dozens of drawers. So instead I just have this little two drawer card catalog that my wonderful husband got me for Christmas a few years ago. It’s tiny little drawers are the perfect spot to store spare cable and Internet cords and remote controls. 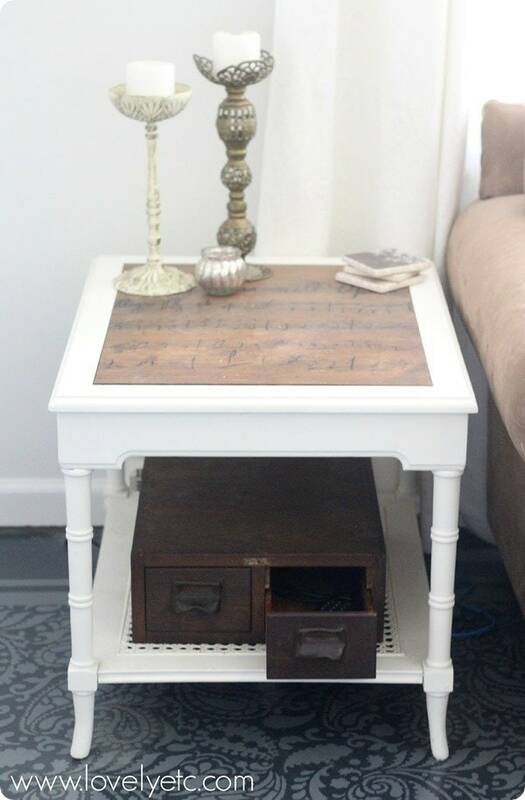 Even the drawers from an old broken piece of furniture can turn into an awesome storage piece, like this old drawer from a sewing machine chest. 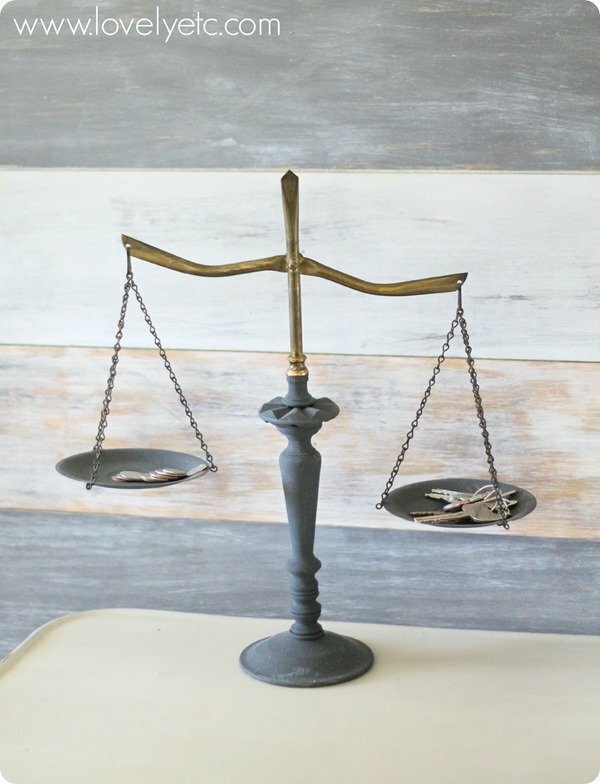 And finally, this vintage balance. A balance may not seem like much of a storage piece, but this has become the spot by the door where we stow our keys and spare change. 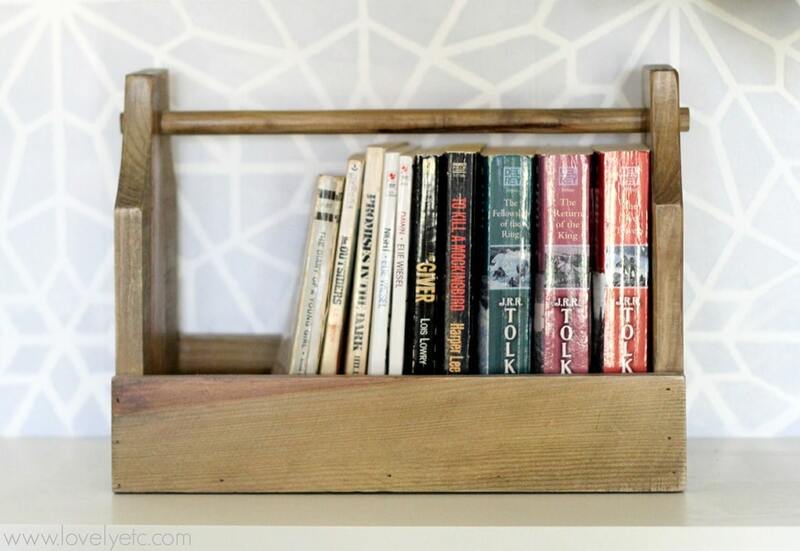 Such great ideas here and I am kinda in love with that huge vintage toolbox! I need me one of those for just anything and everything! Thanks Gilly, I totally agree – that big toolbox is amazing. It was a total steal at $10 at an antique store. I have a Pepsi box like yours. I have mine in the sewing room, turned on its side. It hold my taller sewing cones. Another pop crate, that does not have the dividers holds my scissors, rulers, pencils, etc. 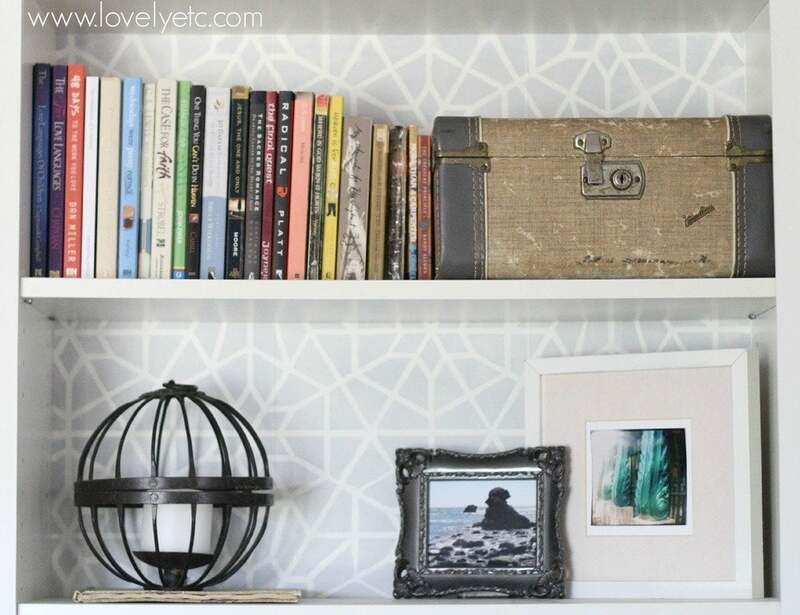 I love to decorate with vintage pieces that are functional. Me too. 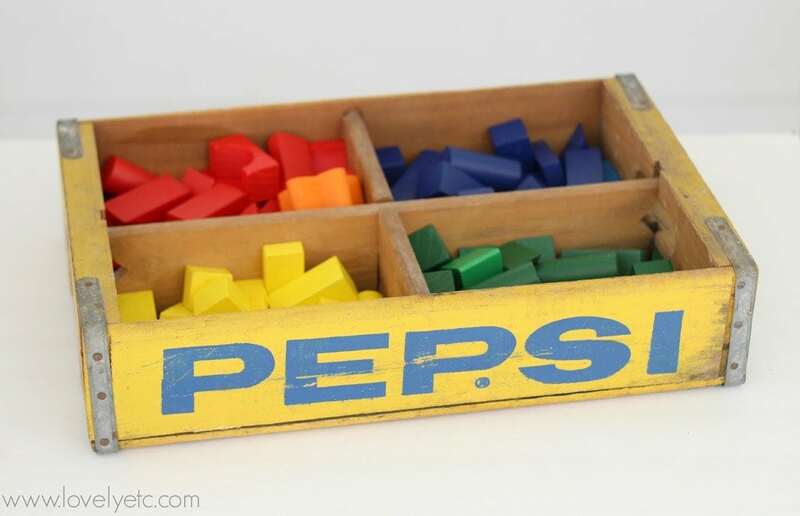 I love soda crates – I used to have a huge stack but have since sold most of them. 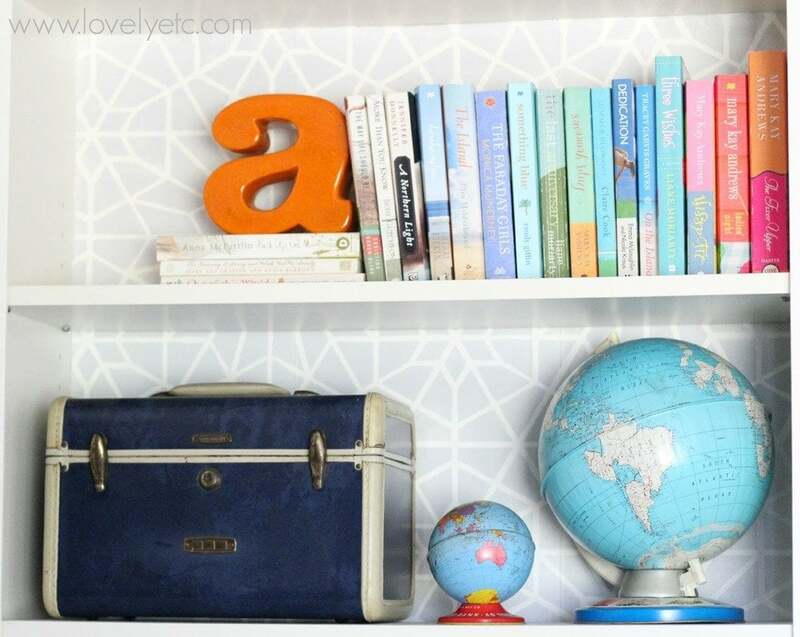 I have been thinking though that I may just look for some more fun colorful ones this summer – they really are great for storage! Carrie, I love the vintage look also. Have used a number of old things from my husband’s garage. The things you show are so clever. I love all these lovely, cute and creative storage ideas! I really need to think of original ways to add storage at home. We are working on the design and I am sure that few cool vintage luggage cases could make the atmosphere really cozy! 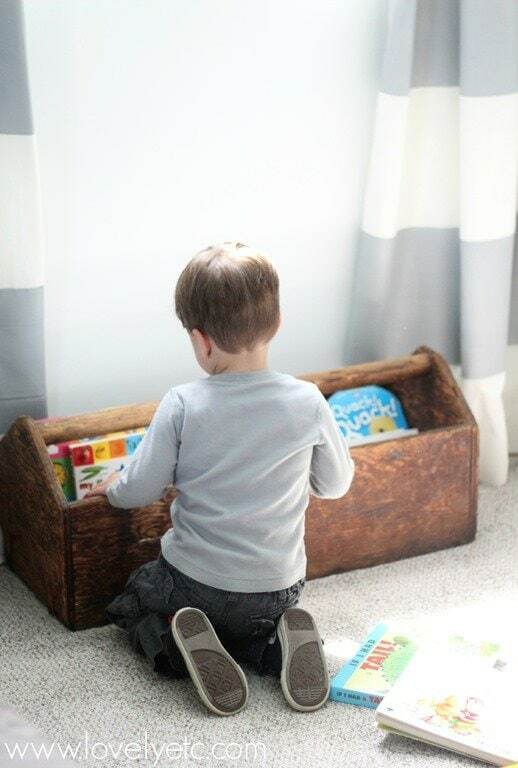 I love the toolbox ideas, too! These old toolboxes make great storage containers! Thanks for sharing! Thank you Marilyn! 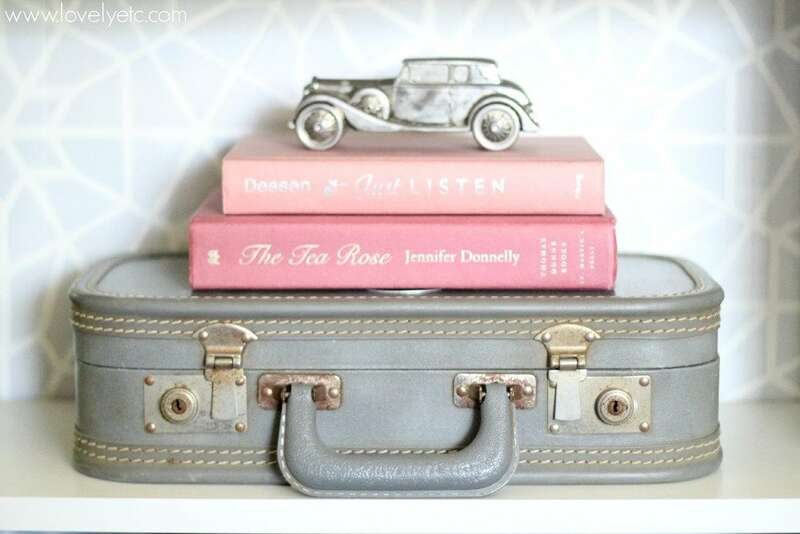 I just love the look of vintage suitcases and things. So when they can be useful too – its a major win! Ohh sweet old days, for how long have you kept that old Pepsi wooden box? I think the last time I saw it was at my grandma’s some seven years ago LOL. Anyways apart from sparkling old memories, its really nice to see how you are putting it into some good use. And I love your ideas, soo creative. Thanks for sharing. A lot of my containers aren’t vintage yet, but I love second hand baskets for everything. Just got a rattan basket with 6 dividers; the holes look big enough to hold a quart Mason jar. Hmmm. I recently got a shallow, round topped wicker picnic case that is just deep enough to put my fun fur type yarn stash (from Goodwill) in so I can see the colors. 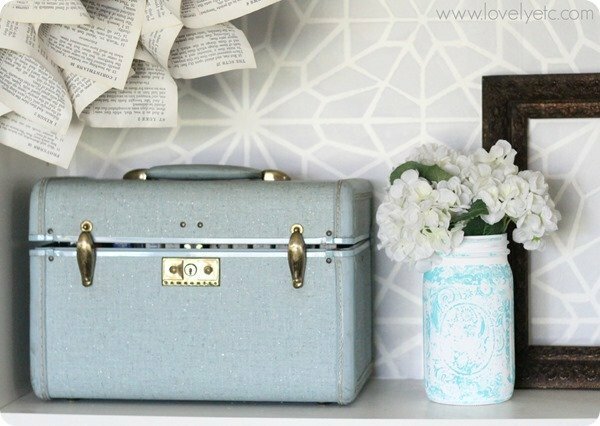 I picked up 2 nylon sided suitcases at the dump and used them for scrapbook paper storage. I have my family’s old tin picnic basket; we use it to store (new) Christmas cards. I would love a library card catalog unit to store bits and bobs; I scrapcraft dollhouse accessories so I have lots of tiny things! I also love the cardboard photo boxes as they stack well and are so colorful. 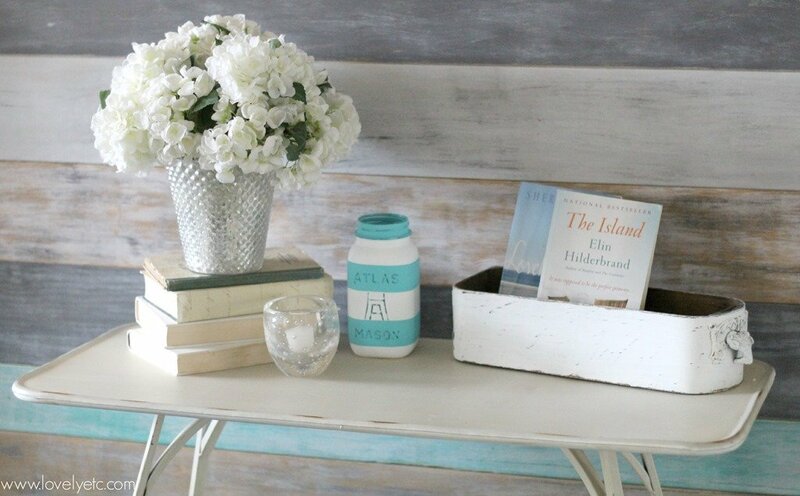 I use my old milk glass jars and a blue Moon and Stars apothecary type jar to store trinkets, manicure stuff, moisturizer cream, and makeup on my bathroom counter Pretty cobalt glass bowl on the coffee table holds candy, a dish corrals little stuff. I made a decision to use my pretty things; sometimes something gets broken, but it is being lovingly used and enjoyed! 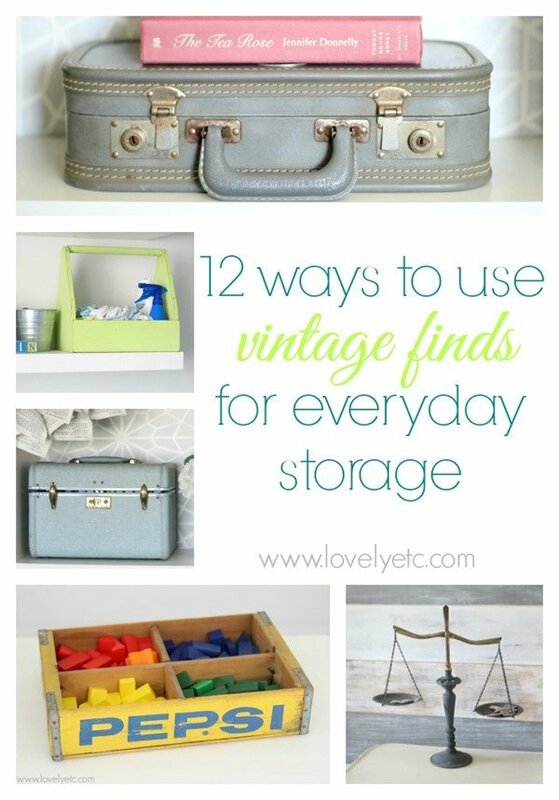 So many great finds and ideas! And I am so intrigued by your scrapcrafting dollhouse accessories! I’ve always been weirdly obsessed with tiny miniature things and that sounds so fun!